If you aim to play competitive hockey, then it is imperative that you have the right set of hockey gloves. Beginners often pick up any hockey glove in a retail store or online shop that they get a good deal on, but only a true professional can tell you the importance of a well-fitted hockey glove. That is why we will tell you how to measure hockey gloves accurately. What Are the Different Types of Hockey Glove Fitting? One of the main reasons why hockey gloves are essential is that they protect your wrists and hands from the puck and the sticks. With the intense force involved in the game, you can be injured seriously if you do not wear the right protective gear. Additionally, these gloves are also essential to somewhat protect your hands from the ice when you fall. However, you won’t enjoy those benefits if you do not have the right fit. When it comes to the fit of the hockey glove, the traditional fit and the anatomical fit are the two common types. It is up to the player to choose one amongst these two on the basis of the style, feel, and comfort. The traditional fit or the four-roll style hockey glove will typically have more of a roomy design. That means there is more space inside the glove for the player’s hands. With all this space, it offers the player a full range of motion with lesser resistance from the glove when they move their fingers. The anatomical fit glove is built in a manner to offer the player the feel and fit of it being slightly snug, which makes the player feel that it is just an extension of their hand. It is quite similar to tapered gloves, but it is built more ergonomically and is designed to offer a better range of motion. Ultimately, what you get is a tighter fit without sacrificing mobility. How to Measure Hockey Gloves? Measuring a glove isn’t exactly rocket science, and thanks to our step-by-step instructions, you will be able to find the perfect fit right away. Begin by measuring the distance from the palm’s base and going all the way up to the top of your middle finger. Use inches as a unit of measurement. Once you have found the exact measurement in inches, double it to get your glove size. This is still an estimate. To give you an example, if you measured your palm and the result is eight inches, then check out a size 16 hockey glove, as that will most likely fit you the best. To further check whether a glove has a perfect fit for you or not, put it on your hand and take a closer look to see whether the glove covers your wrist entirely by the cuff. Also, make sure that your fingertips are not protruding past the fingertips on the glove. If your glove is smaller, it will not protect your hand adequately since your fingertips will most likely protrude out. This will leave your fingers exposed to most impacts. Likewise, the cuff will be short which will leave quite a large gap between the top of the cuff and the bottom of the elbow pad. On the contrary, if your glove is larger in size, then it will affect the mobility of your wrist as the top of the cuff will end up overlapping the bottom of the elbow pad way too much. In addition, even your fingers may not even reach far enough inside the glove’s fingertips which will further inhibit your fingers’ dexterity. What Are the Features of a Good Hockey Glove? 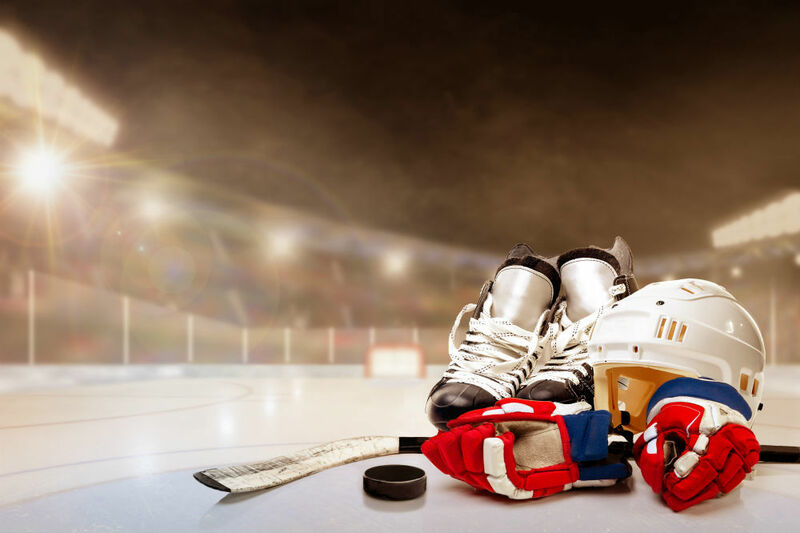 Now that you know what size to get, here is a list of the top and must-have features you should look out for in a hockey glove if you are looking to play professionally. Padding is an essential feature of a hockey glove. Cheap gloves will only be padded with single-density foam all over. In addition to being quite soft, it also doesn’t do an excellent job of protecting your wrists and hands. On the contrary, mid-range gloves will have an added layer of higher density foam over the single one. The better gloves, over all of this, will have plastic inserts too. To know what materials are present inside the glove, simply squeeze the sides of a foam piece. With good quality gloves, you will be able to feel the layers as well. Another benefit of high-quality hockey glove is that they have added padding in certain areas like the sides of the fingers and hands. Expensive hockey gloves will have high-quality and durable leather, and this will most likely be reinforced in high-wear areas. This sort of reinforcement is essential for players who intend to play regularly since certain areas on the palm will wear out quicker than the other areas. The shell, or the material that covers the padding, will be thicker and most likely be made in nylon, especially the expensive hockey glove models. Every hockey glove, regardless of their price, comes with an armored thumb that does not bend. This is important as it prohibits the thumb from getting dislocated if the stick gets ripped out from your hands. High-end gloves will offer you some sort of mobility in the thumb while keeping it absolutely safe. If you want a glove that has a sufficiently flexible thumb, then look for street hockey or lacrosse gloves. Knowing how to measure hockey gloves will help you determine the exact size you need for your hand. A well-fitted glove is not only about the fitting, but a lot about the safety it offers you. It will keep your hands and wrist well-secured during a professional game and offers a ton of mobility.